Skyrim…. It seems ages ago that Bethesda published the last entry in its epic Elder Scrolls Series. I played the game quite a lot when it first came out, but then a PhD thesis had to happen and I never revisited its cold mountains, barren shores, and Viking-boutique towns. Since then, many E3s have come and gone and still no new Elder Scrolls on the horizon. However, during VALUE’s 24 hour stream, I returned to my old save game to discuss how I think archaeology is one of the core elements that make this world so spellbinding. Skyrim, the country, is a great landscape to experience —it is what you would get if Scandinavia and the American Northwest came together and had a love baby — yet it is host to the least imaginative cultural setting in Nirn, the world in which the Elder Scrolls take place. Skyrim’s story is a power fantasy pastiche of the past in which Vikings (the Nords) duke it out with Romans (the Empire)… and then there are also dragons, because why not? Like Stefan van der Lecq, who asked for this Games We Dig about Skyrim as his reward for kickstarting the Interactive Past, I think Morrowind is the creative pinnacle of the Elder Scrolls. 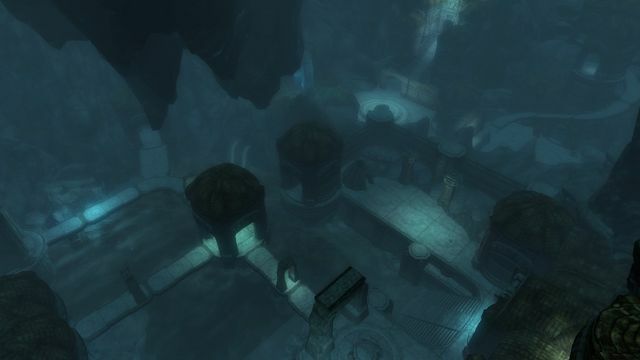 Its Darkmer society and culture matches the alien geography and unique history of the island of Morrowind. 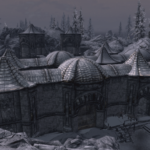 Instead, the stories, personal and place names, and the material culture of both Nords and Imperials are so trite that you have to be largely unaware of the actual past to call them inspired or inspirational. Actual historical analogues may not be its strong suit, historytelling, however, is. The gradual buildup of Nirn’s own history through every successive game is one of Elder Scroll’s best qualities. In this regard, Skyrim has certainly lifted the series to a new high. It’s wiki tells me there are 820 item codes for books — item codes are unique IDs attached to every type of object in the game, from Lydia to Eidar cheese wheels. All of these books represent different “scales” of history, from personal diaries to multi-volume tomes about empires that cover hundreds of years, and all present a unique perspective on Nirn’s past. In this way they create an interlocking master narrative that breathes life into Skyrim’s present as well. Even if the writing is variable in quality, the books are engrossing because they contain a wealth of nitty gritty details about the world. In fact, in the months I was playing Skyrim I spent more time reading about its past than I did stomping about the real world. It is not surprising, then, that this epic digital history has made its way into dead tree form with the publication of The Skyrim Libraries, a 3-volume series standing at a whopping 996 pages! But that’s the past as it can be accessed through documents: the domain of history, not archaeology. Even if its books are perhaps its most direct way of historytelling, I do consider archaeology to be of major importance to the Skyrim experience. 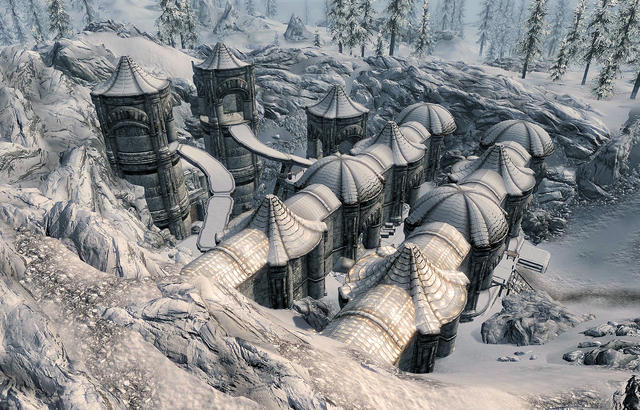 In Skyrim’s remote reaches you will find plenty of ruins to explore. 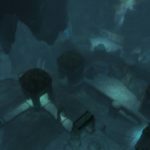 More often than not these ruins belong to the Dwemer, a lost, advanced civilization. As a complete aside: go read The Interactive Past’s Looking for Group chain-game chapter in which Stefan van der Lecq asks why we so often see the trope of the lost but advanced civilization in video games. In the video at the top of this post you can watch me romp around in one of these ruins, Mzinchaleft, for an hour or so. I do my best to find out more about what happened in this place, both a long time ago and in the recent past, by simply inspecting the objects that you can find there and how they are arranged. This means no browsing of texts or talking to NPCs. When this video was shot, it was already late in our 24 hour stream, so this is not my finest moment as an archaeological sleuth. Still, I got some key aspects of the story behind this ruin: an archaeology-like group of explorers gets lost in the ruins of a Dwemer workshop that was overrun by Falmer. In the latter bit of the playthrough I get lost in the ruin (skip this part: even I was bored!) 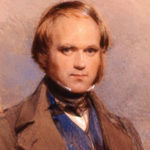 but also corroborated my ideas with the documents that are found in the ruin. I think the whole expedition was a great success — albeit I did loose my loyal follower, Lydia to a bunch of rotten Falmer/bit of friendly fire. I think the video shows nicely how you can excavate a story from stuff in dungeons, even while sleep-deprived and trying to provide stream-entertainment. Creating your own ideas about the world and its histories writ large and small through the study of (groups of) objects is integral to the Skyrim experience. I would even venture to say that, together with the aforementioned books and NPC interactions, object-based histories are one of the three cornerstones of interactive narrative delivery in Skyrim and other Elder Scroll games. The way I view it is that players undertake a form archaeology every time they enter a new place. This is self-evident when you enter a “dungeon-style” type of location (e.g. 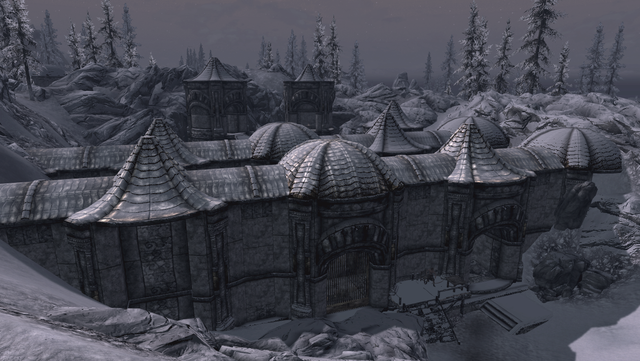 forts, ruins, barrows, castles, caves, et cetera), but it is even happening in the midst of Skyrim’s more populated areas. Why is there a collection of woodcutter’s axes in this highwaymen’s hideout? Turns out that they masquerade as a group of woodcutters. Find Immortal Blood in a bookcase? It is likely that its owner is a vampire. A skeleton sitting on a throne? Ten to one chance he was the lord of the castle and, because this is a fantasy world, there is a similar chance the lord himself will rise to kick you out of his domicile. 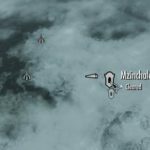 Skyrim and other games with carefully designed worlds are filled with enticing virtual object stories to explore, put in there by the game developers. I encourage you to go back and have a look at this specific aspect of the game, as it is painstakingly executed — I imagine an army of interns that were given master documents of every dungeon and populated it with stuff that made sense, as best they could. Be careful you don’t get caught by the urge to collect all the stuff you find though. Skyrim is infamous for triggering a lingering hoarding disorder. Why sit on a throne of swords, when you can just have thousands in your living room? Skyrim: Come for the faux-Vikings and Dragons, stay for its History! Leaving aside the perils of having a mountain of swords you ‘really need’ in your virtual living room, I feel that piecing together the story of a random Skyrim dungeon could be a neat assignment for a group of undergrads who need to learn how to interpret groups of objects and discuss the interpretation of their association amongst themselves. 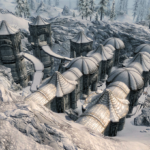 Skyrim’s assemblages would be an effective means to get them used to the idea that multiple perspectives of and in the past can exist alongside each other. At the same time, the histories that you unearth are not transcendental, ‘out there’ for no one to ever know the truth about. Dungeon assemblages may allow and even represent different narratives, but together they tell a coherent story heavily influenced by a human agent (that of the designer(s) creating the dungeon). Whether they are archaeology buffs or not, Skyrim players will always engage in worldbuilding and narrative-sleuthing of an archaeological and historical kind. Yet instead of boutique Vikings fighting tired Roman stereotypes and the cliched dragon or two, it is object assemblages and multi-scalar histories that lend Skyrim’s past its engrossing presence. Skyrim is available on PC, PS4, PS3, XBox, the Switch, VR, and probably your toaster too. Doc Random is editor at Interactive Pasts, co-founder of the VALUE Foundation, and Assistant Professor at the Leiden University Center for Digital Humanities. He has an eclectic taste in games and vows that he can talk archaeology with any random game title you can come up with. He also likes piñas coladas and getting caught in the rain, but only when in the Caribbean.